"An ambitious book that delivers on all criteria. 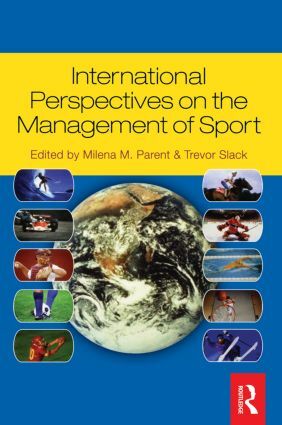 Slack and Parent have assembled an impressive set of contributors, comprising both established leaders in their respective fields and exciting young researchers, who have produced a book that provides comprehensive and theoretically informed coverage of the major concerns in contemporary sport management. Essential reading." Professor Barrie Houlihan, Institute of Sport and Leisure Policy, Loughborough University, UK. Milena Parent is working on a PhD in sport management. Her doctoral research relates to organisation theory and strategic management of large-scale sporting events.